That is what people think of when I say bees. Honey and stings. Two new beekeepers learning together. 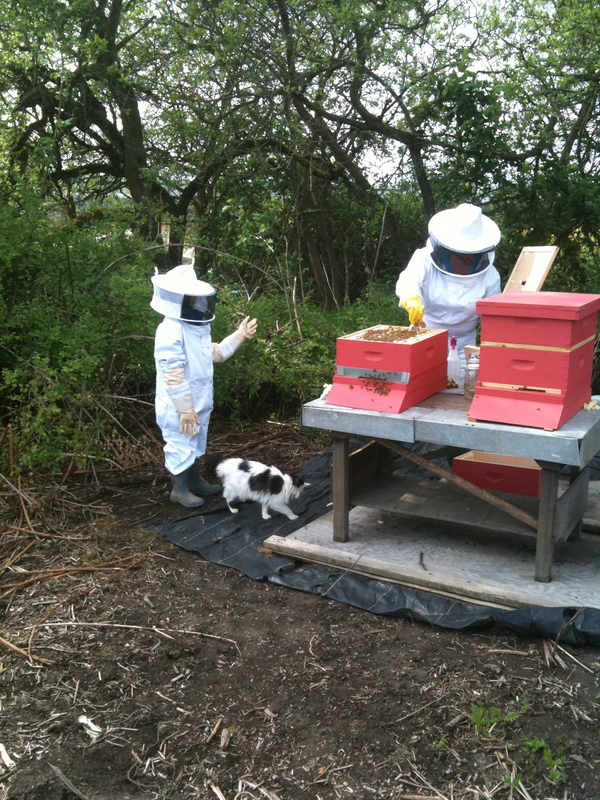 2011 was the year to try beekeeping. It was the beginning of a fascination. 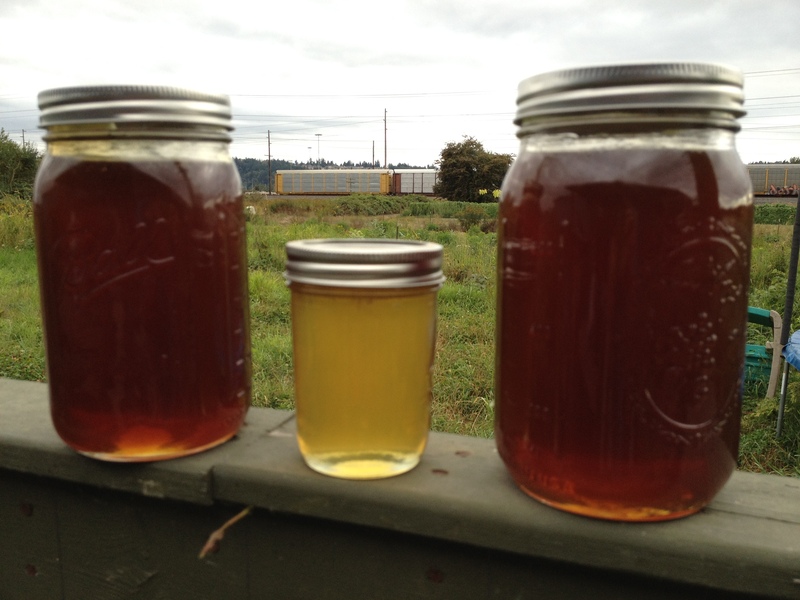 We managed to get a small honey yield that year from California-bred, package bees, and then lost all the bees in November. We were lucky the bees didn’t go far when they swarmed. I was able to sweep them into a box and put them into an empty hive box. 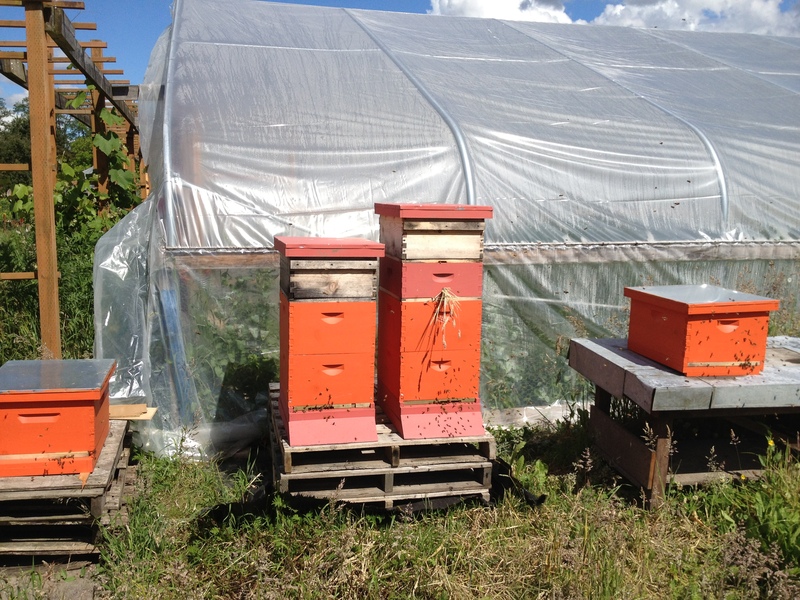 In 2012 we started out with local bees, from local beekeeper, David F. in Burien. They are dark and, well, not as friendly. However, they are hard workers, and they seem to be hardy. It is now January and we have three colonies that are still alive and come out to fly when it’s not raining. Even if it’s 40°. 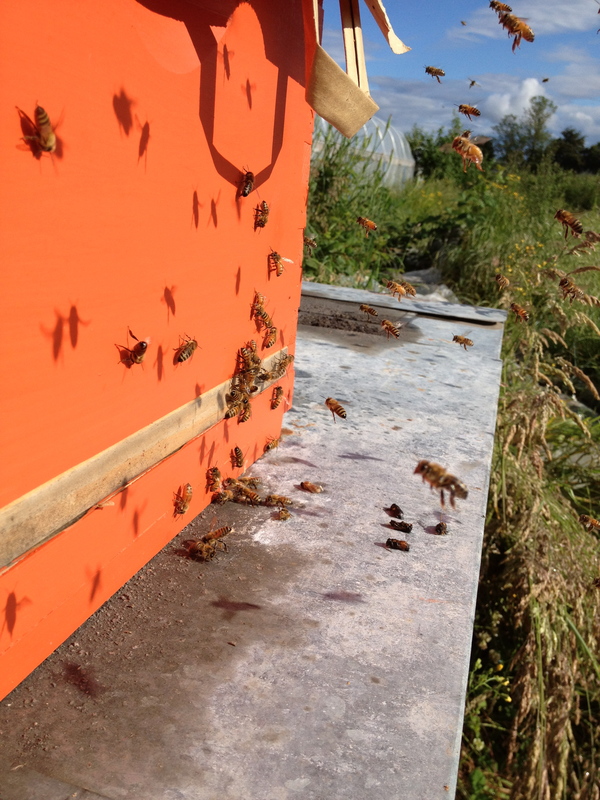 Again we got a small yield in 2012, not bad considering we lost all the queens in July. 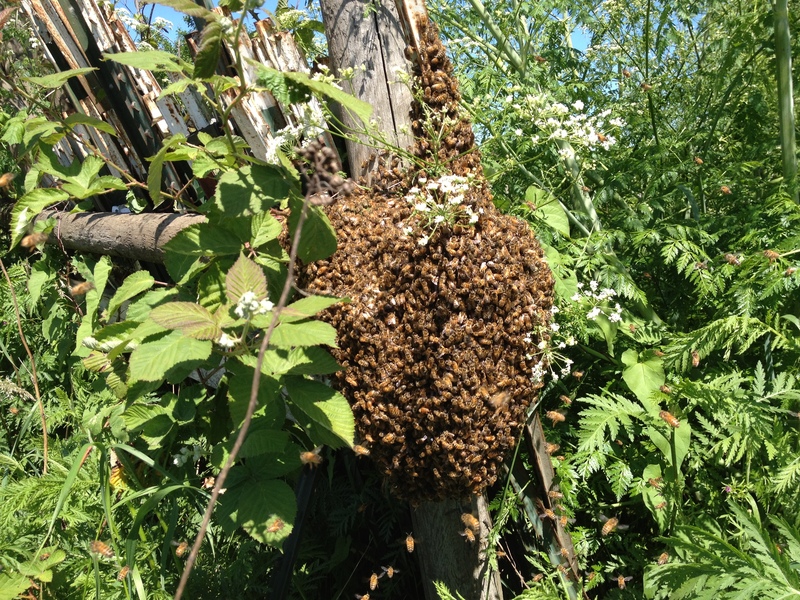 After the swarm we have a real bee-yard. Four colonies. The two in the middle are the ones we started with this year. 2013 will be interesting if we can get these girls to make it through the winter. So much to learn! 2012 honey. The two big jars are from the last harvest—we had a lot of buckwheat blooming in late summer. The jar in the middle is from the beginning of the season, and is mostly clover or blackberry.